The Baby Lock Soprano lets you hit the high notes with ease. 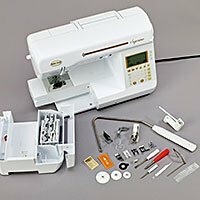 It’s easy to get started with the advanced needle threader & quick-set, top-loading bobbin. 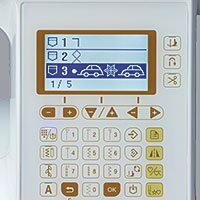 You will be all set to quilt in no time, and you will love having a machine that helps you get things done quickly. The Advanced Pivoting Feature is an especially handy tool. It makes it easy to turn corners and curves that don’t always follow “the rules” in your modern quilt patterns. 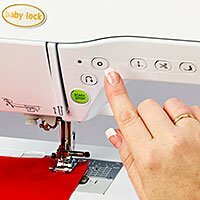 You’ll also love the Automatic Fabric Sensor System – which delivers the right amount of tension for your stitches no matter what type of fabric you use. And with 300 built-in stitches and tons of accessory feet, you will never miss a beat when you use your Soprano. 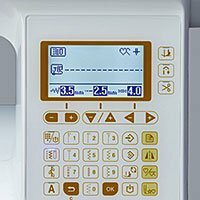 Stitch settings are displayed on the Soprano’s LCD Screen so you always know the stitch type and size you’re about to sew. 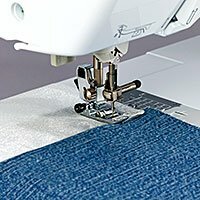 If you have a favorite stitch or need particular settings for a certain project, save them with the Soprano’s built-in stitch memory. 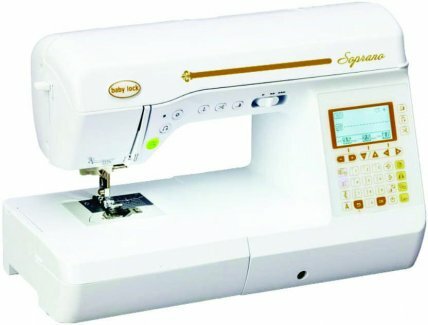 The Soprano will deliver the right amount of pressure and thread tension to ensure perfect stitches when sewing or quilting on a variety of fabrics. Follow the path and press a lever—that’s all it takes to thread the Soprano. The Advanced Needle Threader is so convenient you can do it all with just one hand! With 300 built-in stitches, you’ll have many creative options. 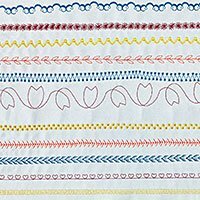 From numerous utility stitches to decorative ones, you’ll fi nd something for every project. 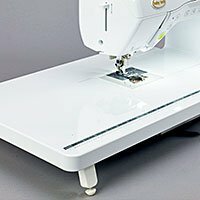 When you’re ready to sew, simply drop a bobbin in and go. It’s always easy to get started. The Soprano comes with 16 accessory feet in a convenient storage case so you have easy access to everything you need. 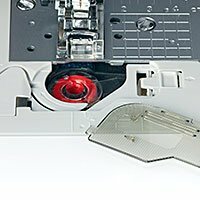 Push-button features make it easy to choose your settings on the Soprano. 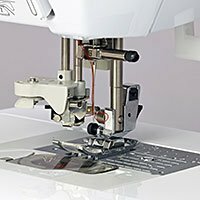 You can change needle positions, raise and lower the presser foot, cut thread, start and stop sewing, and more.